art. Take your time to look around! Questions or remarks? 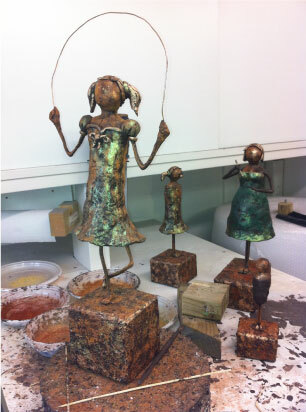 For making my bronze-look sculptures I use Powertex. This is a water-based environmental friendly alernative to polyester. I don’t use moulds, so every sculpture is unique. 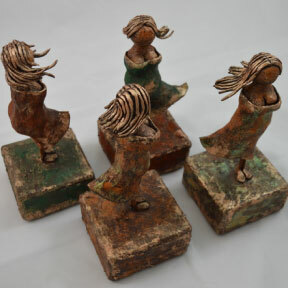 The sculptures look like bronze and have the character of bronze, but are more affordable then genuine bronze sculptures. If you want a sculpture of mine in bronze, this is possible. You can ask me for the price. My sculptures are frost-resistant and so they can be put both inside and outside. 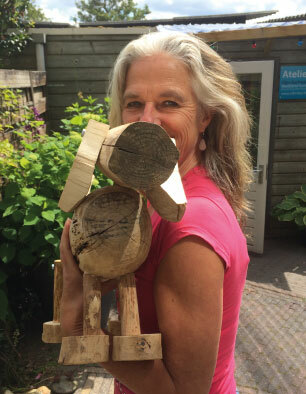 Saturday the 16th of january 2016 I give a course making a guardian angel / little sculpture. I was born in Vinkeveen in the Netherlands in 1964. I always had the passion and the need to create something, to produce something touchable. 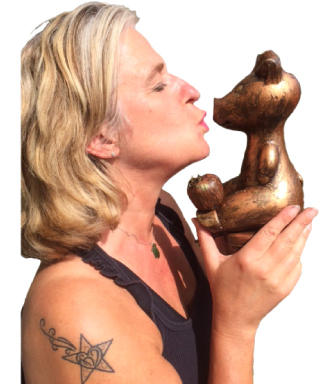 I make my sculptures with a lot of attention and love and they come from my heart. The themes that still fascinate me for instance are Angels and Love. 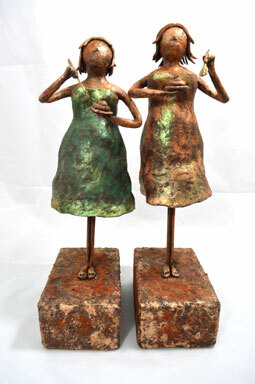 Most of all I adore moulding my sculptures to create with my hands and to have the direct contact with the material. I took several courses at the Art Academy Artibus in Utrecht in the Netherlands. But you can say that I am an autodidact.